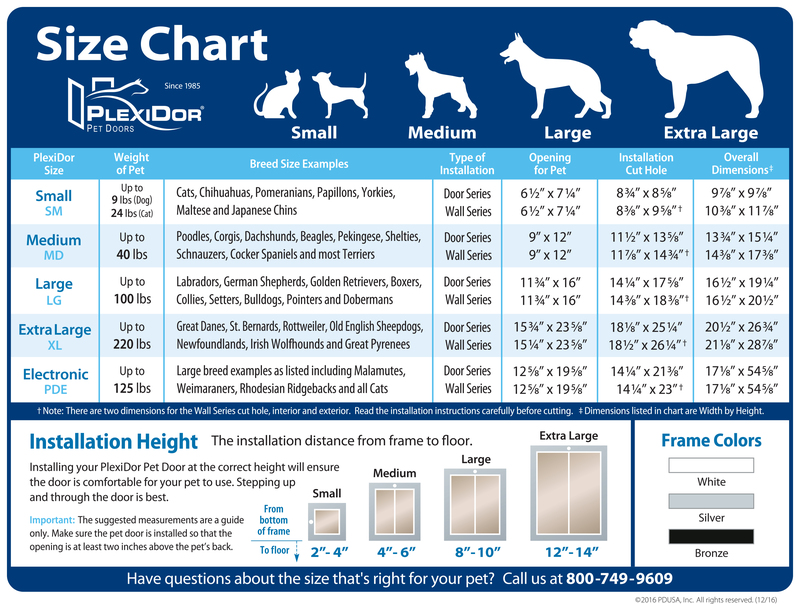 The weight difference is due to the difference in build between dogs and cats. 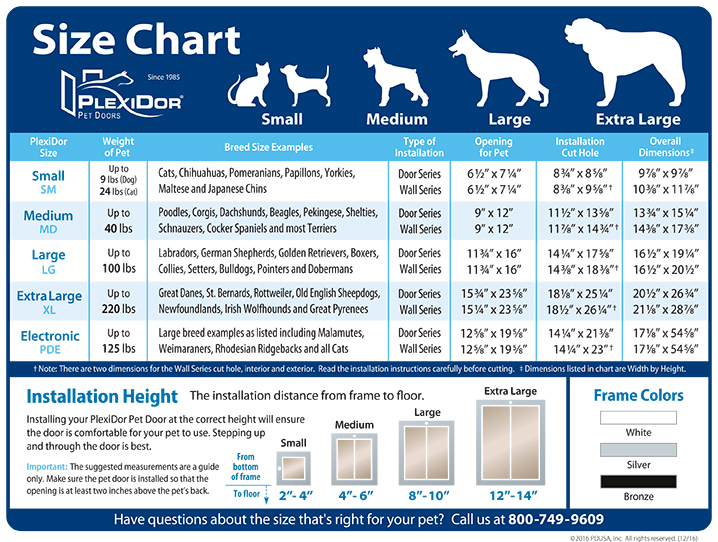 The opening size is 6 1/2″ x 7 1/4″ and the door is usually mounted 2″-4″ above the floor. The top of the opening should be just above the dog’s back. 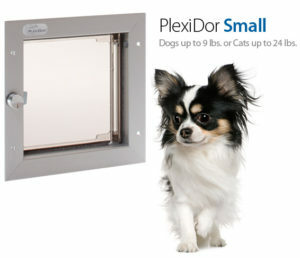 Other common breeds that use the small door include Pomeranians, Papillons, Yorkies, and Maltese.